The Pro Tour is eight rounds old when this goes up, and I freely admit that I’m not young enough to stay up all night to see all five rounds of Standard. Being on PST, I do have an advantage of a few hours, though, and there’s some early cards to note from the Standard portion of the Pro Tour. So let’s get to it! I’m not going to go round-by-round, but this is an amalgamation of three rounds of Standard and the deck techs, discussion, and decks on camera. Glorybringer is a card that everyone will have to be accounting for during the next year, and there is no good, easy answer. Harnessed Lighting needs help, Grasp of Darkness is tough on the mana, it’s too big for Fatal Push, etc. Five bucks is too low for a card seeing this much play, and I’d be picking up a few to unload in six months. Abrade is everywhere. Artifacts are not safe, and it seems like $2 is about right, especially with a Game Day promo still to come. It’s not going to be Fatal Push, but it promises to be a very commonly played card while it’s legal, and I wouldn’t be too shocked if it crept up to $3 by New Year’s. Kari Zev, Skyship Raider is fifty cents and seeing play as a two or three-of, though the red decks are favoring haste. With a Pirate set coming up, she seems like a real sleeper and a low cost to get in on. Imminent Doom on a deck tech! The pilot, Valentin Mackl, was 0-5 when the deck tech went up, which just seems cruel. It’s an intriguing card, but I want to see someone do well with it. Streamers are likely going to try to make it good, and that bump is unlikely to hold. I would not be buying this card, even though it’s only a quarter and it’s open-ended and oh god I’m talking myself into it. It’s just so much work! See if you can get it at six for a dollar, as bulk mythics are just long-term holds. 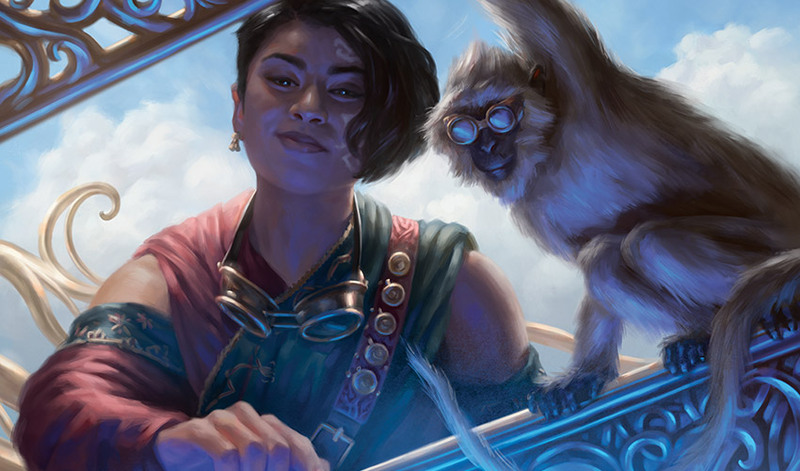 Kozilek’s Return is very well placed right now, being able to be cast after your opponent has played their hasty creature, and at only $5, it’s intriguing. It’s rotating out in three months, though some of these on-camera blowouts could make it rise up some. I think this would be the third spike for the card, which might be a record. Hazoret the Fervent is looking good on camera too, and it is being played in high numbers in the most popular deck. This could be the biggest gainer on the weekend. I wouldn’t be shocked if it hit $10 or $15 by Monday, and if the deck does well, $20 or more is in play. Hour of Devastation wasn’t featured early but has been popping up in the featured matches and has sometimes been great and sometimes been depressingly weak. There’s a lot of camera time left to go, but I’m content to hold at $8 currently. I’m hoping for a deck with the full set to do well, though leaving behind Vehicles is a real drawback in some matchups. Hour of Promise is the backbone of the ramp decks, and at only $2, it’s doing a lot of work. First one gets your Deserts, the second one gets some Shrine of the Forsaken Gods and now you’re in Ulamog territory. World Breaker is going to hit $5 by the end of the weekend, but again, it’s about to rotate out and you’d have to turn that card around fast. It’s worth noting that Ramunap Ruins, a four-of in the most popular deck, can be had dirt cheap. Playsets can be had on eBay and TCG for a buck, and if you like a cheap spec, there it is. It’s lightly in the ramp decks too, but if the red decks keep getting there, this might be another premium uncommon out of the set. Zombies is the #2 deck by numbers, and while I can’t recommend Dark Salvation at $2, I do like Liliana’s Mastery at under $2 and Ammit Eternal at about $2. The Ammit is just so undercosted! The undead are really performing well when shown on camera, and while the deck loses at lot at rotation, being a top-tier deck for three months is going to cause some rising prices. Just enough Rhonas the Indomitable in assorted decks to keep the price high, but not more than a two-of, so I think that price will stay under $20. Looking at decklists, there’s more than a few running a couple of Blossoming Defense, and considering the upside in Infect decks, I’m interested if I can get copies in the seventy-five cents range. TCG doesn’t have many in that price range, but you can find a few on eBay. Jensen’s Electrostatic Pummeler deck is a blast to watch, and a bold choice with so much Abrade in the room. Finally, I want to point out a couple of cards that I haven’t seen in lists yet, or on camera, that deserve some thought. Hour of Revelation needs some attention. Vehicles and Planeswalkers are common, and this just gets rid of all your problems, unless that counts creaturelands. The prevalence of haste threats makes this card less appealing, but I would love to have a couple copies in the sideboard. Getting in at $1.50 is interesting, as it’ll take just one good result on camera to double or more. Another sweeper that isn’t seeing play is Yahenni’s Expertise. This card hasn’t had a chance to shine yet, and not answering Glorybringer is a real drawback, but it will decimate a lot of decks on turn four. It’s around a dollar right now, and it would have to see widespread inclusion for it to climb to $3-$4 and hold that price. It’s a small-set rare, but it was the foil Game Day card, so there’s a few extras out there. Cliff has been playing Magic since the halcyon days of Revised and the packs with Islands as rares. His glory right now is Cubing, but the love of his life, format-wise, will always be MoJoSto over on Magic Online. Find his articles every Friday here on MTGPrice, or on Twitter @WordOfCommander.